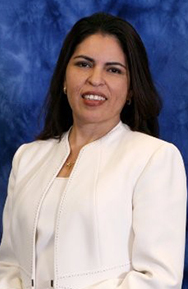 M. Monica Sanchez is the managing director and owner of Public Sector Performance Associates LLC, a company that focuses on helping organizations increase operational efficiency. She has 18 years of experience serving the operational improvement needs of organizations, mainly in local and state government. Monica’s experience spans across numerous public-sector entities (both governments and nonprofits), including school district operations. Her specialties include business process control assessments, compliance reviews, and evaluation of efficiency and effectiveness of business functions, programs, operations, processes, and services. She has dedicated her career to improving operations, from production to transactional systems, from field to business functions, and from a single process to the entity as a whole. Her work typically results in mechanisms for increased accountability and eliminating waste in the value stream, all while reducing costs, meeting customer expectations, and, ultimately, helping organizations achieve their mission and bottom line objectives. Monica is the immediate past president and the current vice president of education of the west Coast Chapter of the Institute of Internal Auditors (IIA).